The Indian Summer is so named on account of the spices, a mix of the usual suspects you find in an Indian-influenced item at a non-Indian establishment. Cumin, coriander, clove, etc. I make no criticism of that choice, if I wanted different I’d choose somewhere that isn’t a bakery café on the west side of town. I do take issue with the simple dusting on some grilled chicken, as the spices that were there weren’t quite loud enough. Blackened chicken would have gone a long way here. 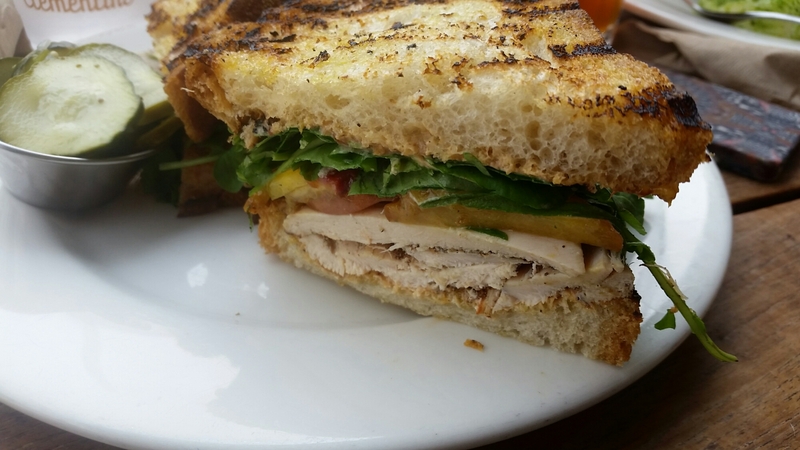 In any case, the chicken was joined by grilled peaches, watercress and yogurt masala dressing on toasted crusty bread. Clementine, true to form, handled all of those admirably and in so doing pulled off the substantial challenge that is the fruit and meat sandwich. 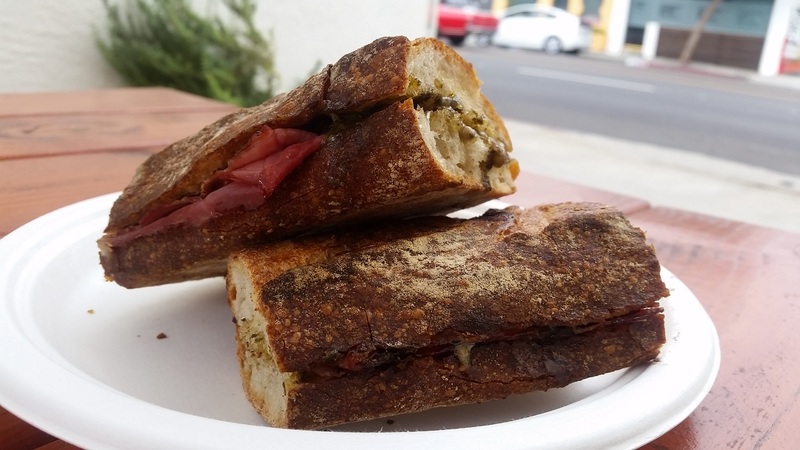 No surprise from a place that once had a sandwich ranking among the best I have ever eaten. This one wasn’t that good, but it was quite good all the same, and a quite good sandwich is plenty welcome on any warm afternoon. 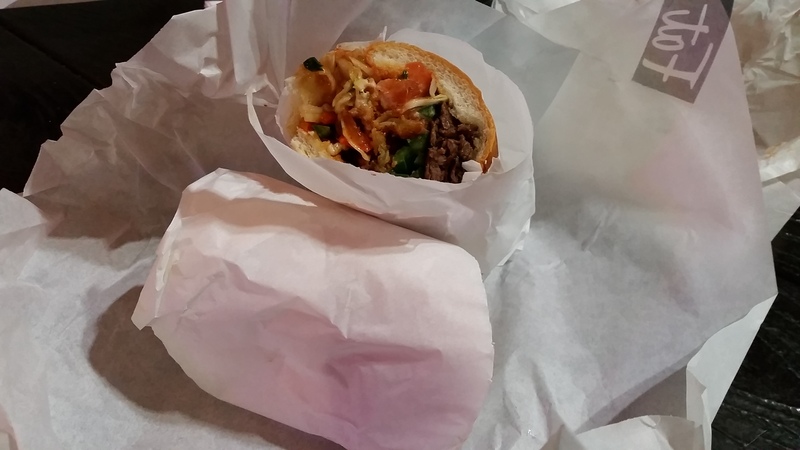 If you find yourself in a place that offers a roast pork hoagie but not a cheesesteak, order the hoagie. I need no other signal that a sandwich is going to be quality; if you realize that the real story out of Philadelphia isn’t what everyone says it is, you’re probably going to make a sandwich I’ll enjoy. The above was no exception. 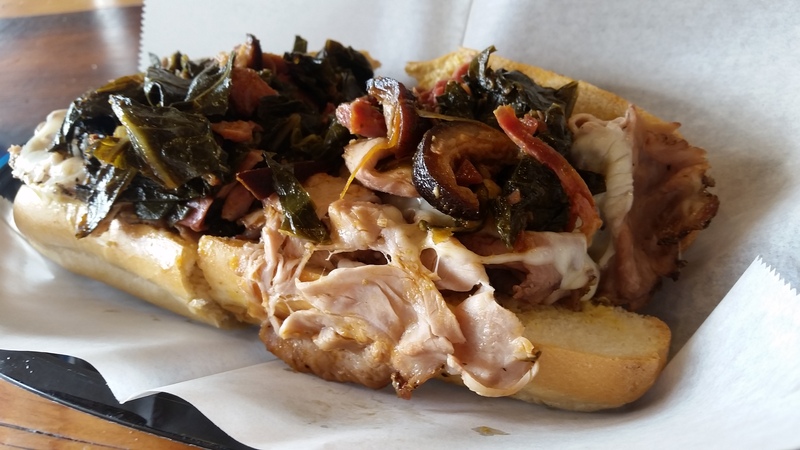 Thinly sliced roast pork, collard greens braised with a smoked ham hock, smoked gouda and mustard on a soft hoagie roll. 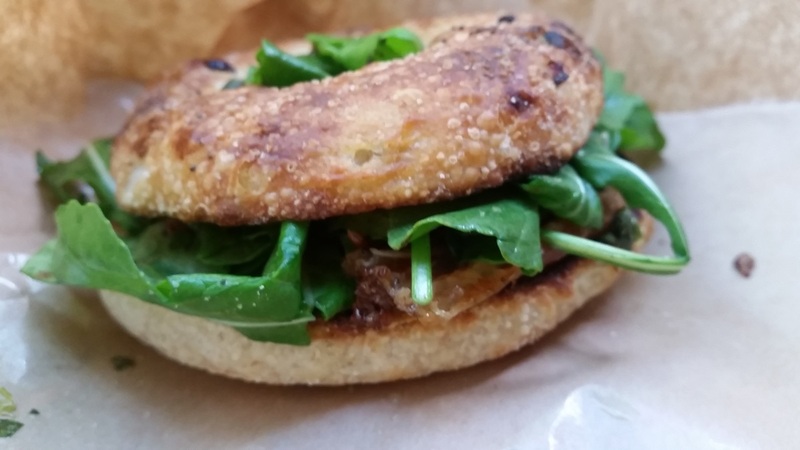 Just the right sort of harmony a great sandwich needs: rich, earthy, smokey, deep and with a slight tang. A Cut Above is a high end butcher shop, the kind of place where it would all be too easy for them to just insist on the heritage of the pork and expect that to carry the sandwich. 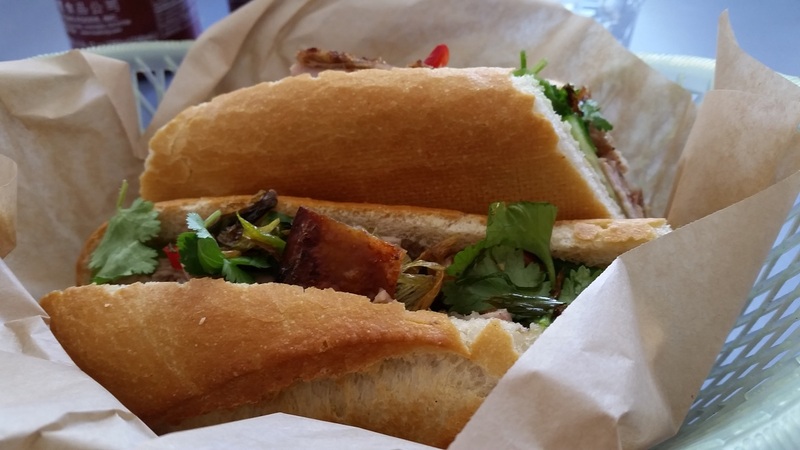 The pork here is of fine provenance, no doubt, but they also care enough to put together a darn good sandwich. 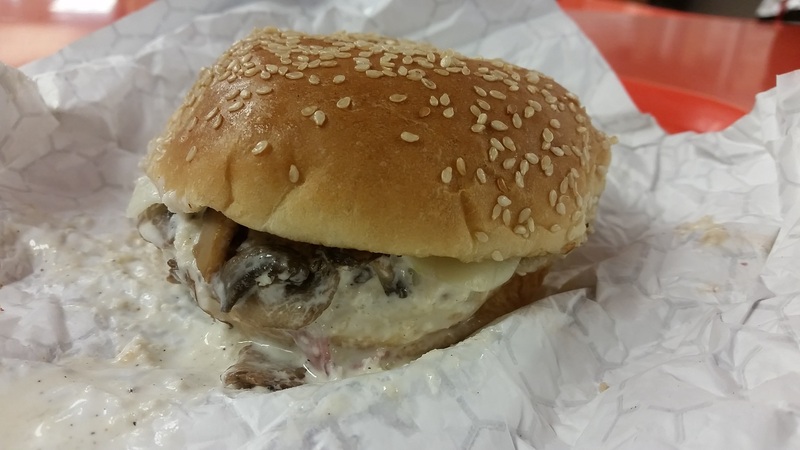 I like a good steak sandwich, but I especially like one that isn’t just steak and cheese. 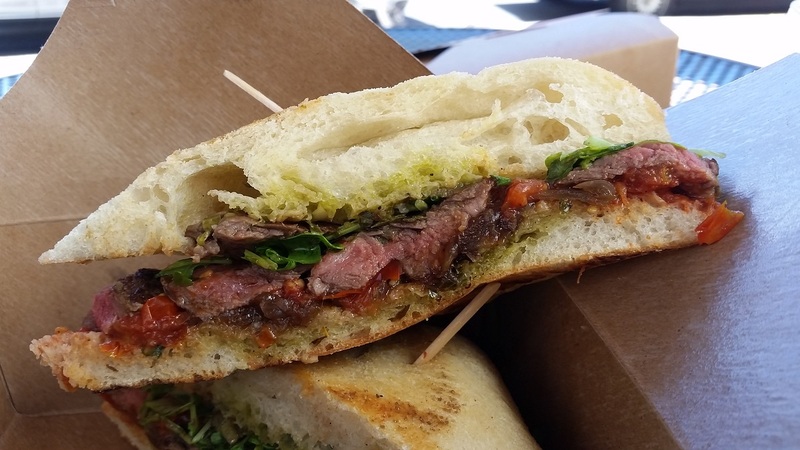 The Peruvian steak sandwich at Mendocino Farms couldn’t be farther from such a thing. 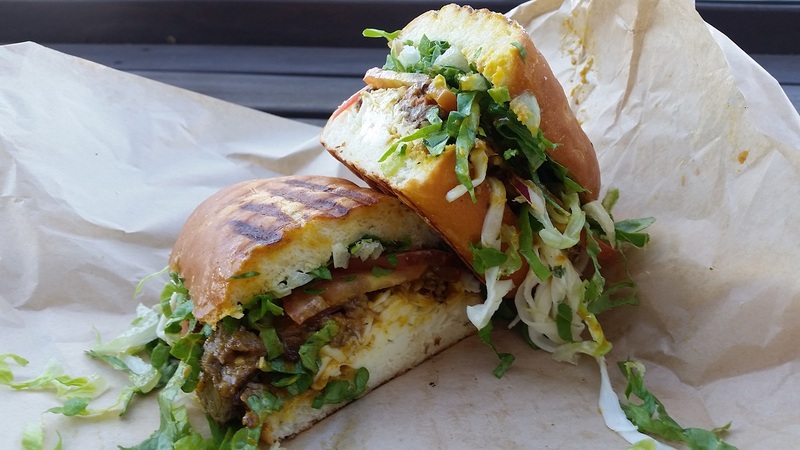 It’s steak marinated with aji amarillo chili peppers, Oaxaca cheese, herb aioli, red onions, tomatoes, and shredded romaine on a torta bun. Overall this was delicious buy the aji amarillo peppers packed quite a punch, a heat that drowned out other elements of the sandwich, notably the herbs in the herb aioli. 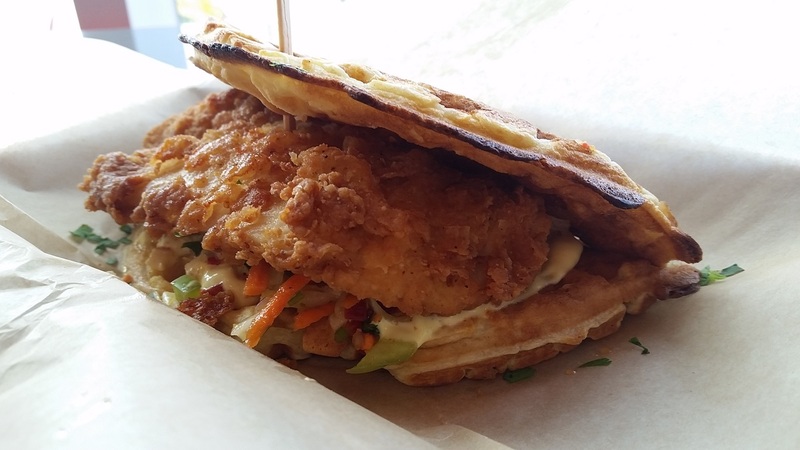 Still a tasty sandwich, but it seems as if this almost-but-not-quite-spectacular sandwich is becoming a hallmark of Mendocino Farms. That’s a pity, but it does give an enthusiast good reason to keep giving them a chance.